Welcome to the best in electric bike technology from Europe. BIkes that look good, perform well & last. 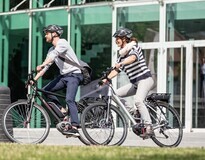 We stock leading brands & have over six years of experience to advise the right e bike for your needs. Try before you buy at our new Tauranga showroom & discover what bike is right for you. 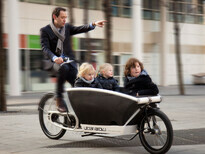 We import only leading electric bike brands from Europe and enjoy sharing our knowledge with you. Meeting outside advertised hours is possible for e bike purchase advice, e bike tests & also rentals. We warranty and service all e bikes we sell & are a certified workshop covering Bosch, Bionix and Yamaha e bike drive systems. 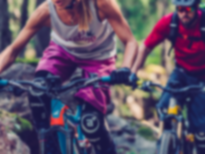 Flux is a leading e bike only retailer established in 2013. 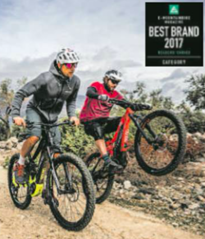 We only stock the best e bike brands built in Europe offering some of the most technically advanced e bikes available in New Zealand. Experience smooth & predictable pedal assist support with a superior reliable ride. Let us help you find an e bike you'll fall in love with and most importantly one you actually want to be seen riding ! Come visit our new Tauranga e bike showroom & take one for a test ride - you'll never look back. If you are located elsewhere in the country let us know by email or phone and we will aim to put you in touch with one of our dealers who specialise in electric bikes and can take care of you nearby. Payment : Please note we accept payment by both Visa and Mastercard but can only do so in store and there is a 2.95% surcharge applied to all credit card purchases. Eftpos Cash and Bank Transfer there are no bank fees. 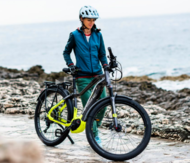 Flux, NZ leaders in Electric Bikes. See us for the best bikes & specialist service . We have a large new e bike show room in Tauranga as well as specialist e bike partners New Zealand wide.